Heat oven to 350°F. Spray 8-inch square (2-quart) baking dish with cooking spray; set aside. In small microwavable bowl, microwave 2 tablespoons of the butter uncovered on High 30 seconds or until melted. Stir in bread crumbs until mixed well; set aside. In 12-inch nonstick skillet, melt remaining 1 tablespoon butter over medium-high heat. 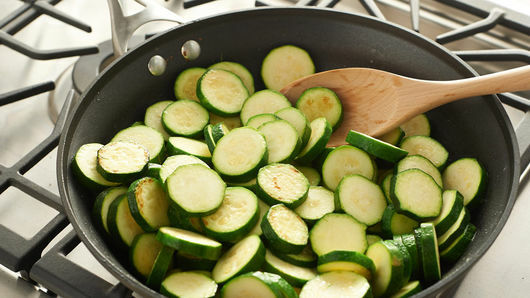 Add zucchini; cook 4 to 6 minutes, stirring occasionally, until crisp-tender. 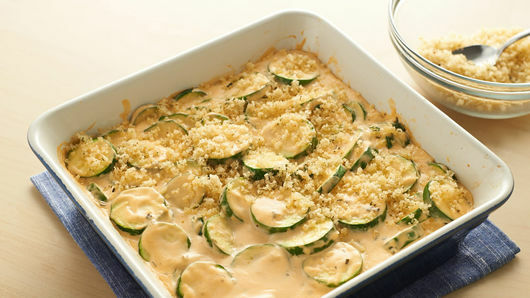 Spoon zucchini into baking dish. In same skillet, cook water and cream cheese spread over medium-low heat, stirring constantly, until smooth; stir in Cheddar cheese. Heat until cheese is melted. 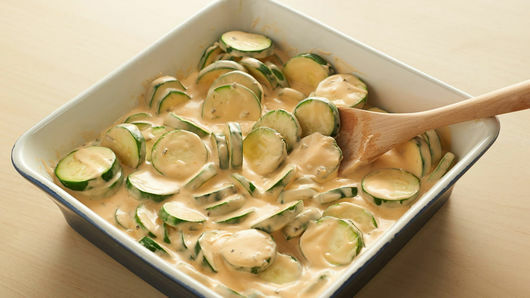 Pour mixture over zucchini; mix to coat. Bake 15 minutes; top with bread crumb mixture. 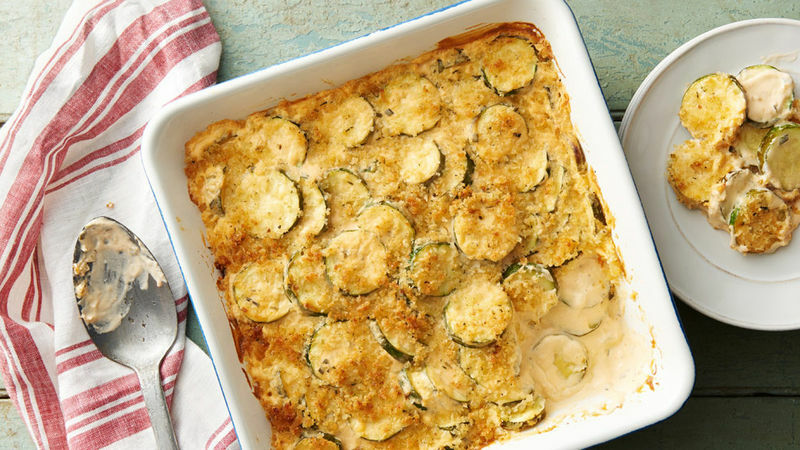 Bake 10 to 15 minutes or until bread crumbs start to brown and zucchini is tender.